Last Saturday was an eventful day for us. In the context of the conference program at Berlin Startupnight, we had our first appearance on stage at IHK Berlin at 12 p.m., where we gave a presentation on subsidy programs for start-ups together with Investitionsbank Berlin. Afterward, we went to the Berlin exhibition grounds to participate in IFA. At the Deutsche Telekom stage, we introduced Cringle to many interested listeners and showed them how we want to change payments between friends significantly through our app. After the presentation at IFA, it was time to prepare our stand for the #Startupnight. 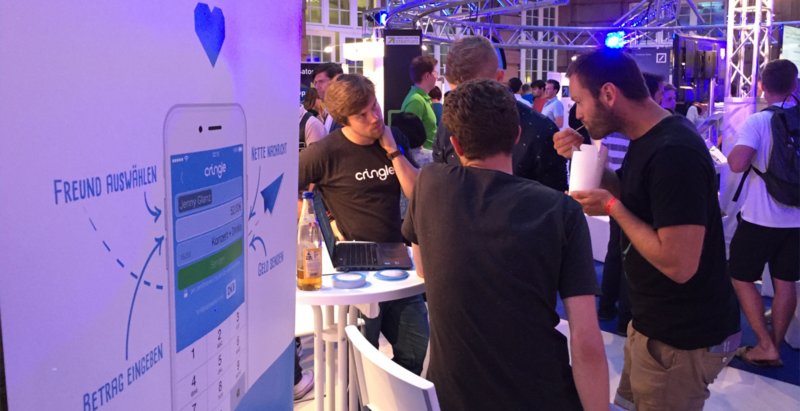 Events such as Berlin Startupnight are special because they enable us not only to introduce Cringle to many interested people, but also to meet numerous people who have been using Cringle for a long time. We truly enjoyed the interesting discussions and are of course proud that Cringle is so popular. The many users who are also clients of DKB were particularly enthusiastic. In fact, the Cringle sign-up feature on the DKB online banking website turned out to be a particularly popular feature, for there is hardly an easier way of signing up for a payment service. Our promotional event, which enabled visitors to send all potential users €1, also helped us distinguish ourselves from the other start-ups. 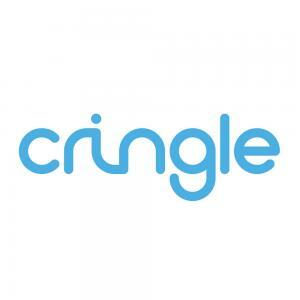 Moreover, many people appreciated and praised that Cringle can be used with all contacts in the contact list and that even unregistered users can receive money. Still, our product was not the only thing that convinced visitors of Berlin Startupnight. Indeed, these people also liked that we collaborate with banks and have high standards in terms of data protection, for instance because we do not store any sensitive bank information. In addition to enthusiastic Cringle users, we also met some of our Companists last weekend. By now, more than 1,000 Companists have invested in our Companisto campaign already. Consequently, we have become one of the top 15 start-ups in terms of the number of Companists. Thank you very much! Not only are we thrilled by the large amount of positive feedback; we also believe this feedback shows that Cringle solves an everyday problem that people from all walks of life are aware of. We are still working as hard as we can and are grateful for your support! Together, we will succeed in establishing Cringle as the standard for payments between private individuals.